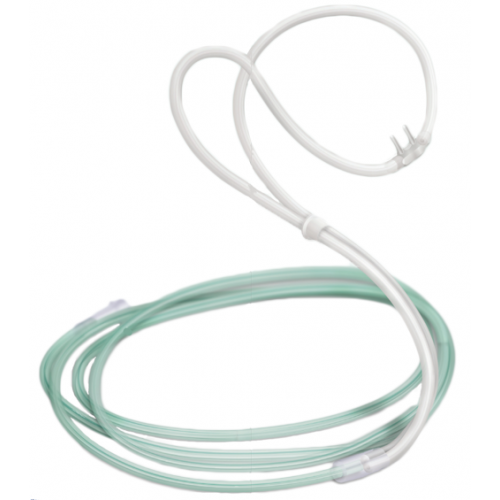 Softech Plus Nasal Cannula, by Teleflex Medical, is a soft cannula with a notch that provides flexibility and a more customized fit.that features 7 foot green star lumen tubing for reducing connection errors. 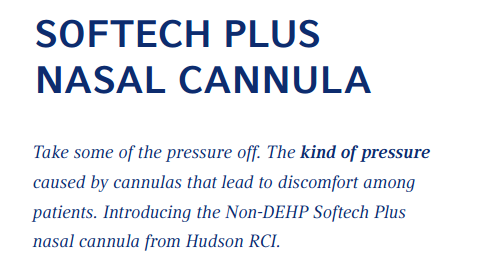 Softech Plus is the confident choice for comfortable oxygen delivery because of the proprietary combination of a softer Non-DEHP material and improved product design. Notch between nasal prongs to provide flexibility and a more customized fit. 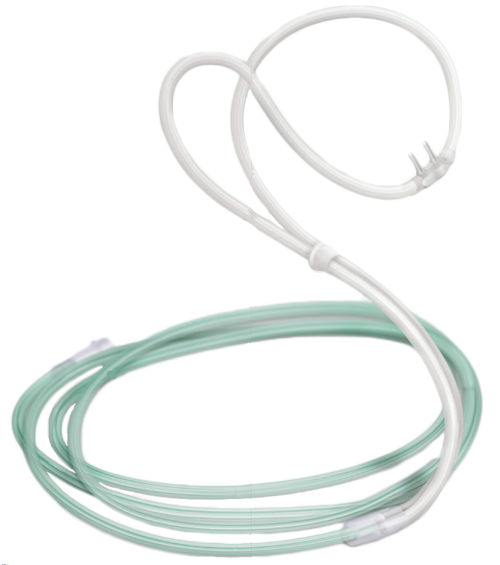 Soft durometer lariat tubing to increase patient comfort. Star-lumen design provides crush-proof and kink-proof tubing for continuous flow. Green oxygen star-lumen lariat tubing to reduce connection errors. How long are these with the cannula attached? Lengths vary depending on the cannula length. It's best to determine the length of the cannula then adding that to the length of the tubing. These are measured at seven feet. Are these High Flow Cannulas? These cannulas are available in 7-foot lengths. 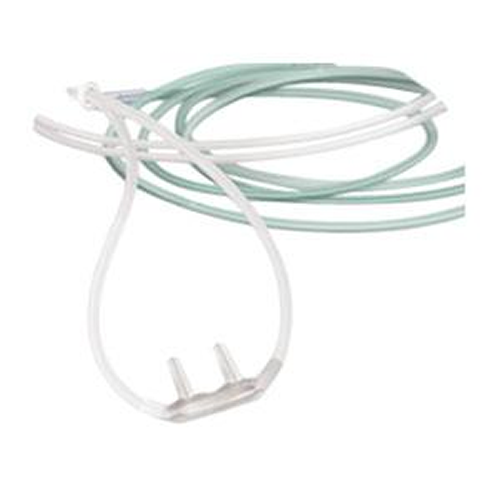 I found the softech plus nasal cannula the most softest of cannula,s ever. They do not irritate the nose at all and are so so soft . The tubing is so thin and soft you don,t even know you have it in your nose. I wear a cannula 24/7 and trying to find a comparable replacement for a brand from a company that is no longer in business. 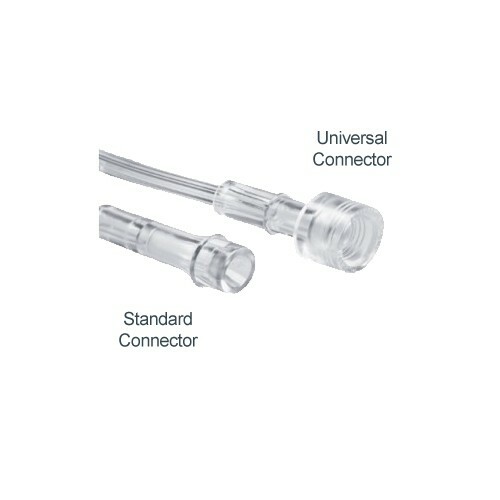 This cannula has a crush proof hose which is stiff when cold, has soft comfortable hose over the ears but nose piece is a little stiff, too wide for narrow nostrils (even when trimmed). I only ordered one to try and will only purchase as a back-up. This cannula is very comfortable and promotes compliance with wearing oxygen. I ordered the nasal cannula, and before I knew it was here. I have a latex allergy, that I found out 2 years ago. I then ordered non-latex tubing and after an amount of time, felt that I was still uncomfortable.Ithen discovered that the pthalates in the cannula were probably the culprit. I put my DEPH tubing on out of the box, and so far so good. Thanks for everything! I've had a lot of difficulty getting nasal cannulas from my oxygen supplier and the "soft" ones they did give me still irritated my nose. 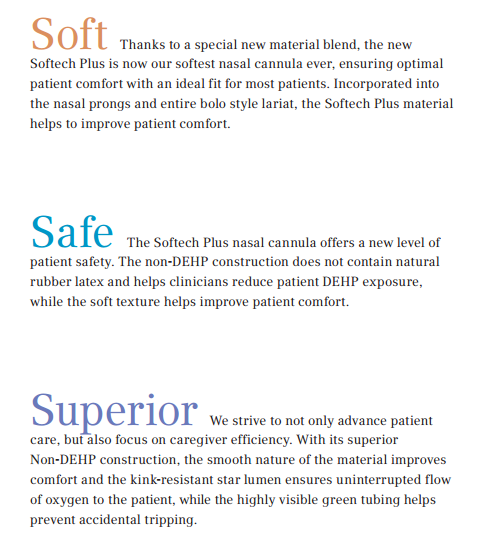 The description of the Softech Plus by Vitality Medical sounded like they would be perfect. I was pleasantly surprised to receive my shipment earlier than was promised. I have been using them for almost a month and am also delighted to find that these nasal cannulas are so comfortable and do not cause the irritation I experienced before. A very comfortable cannula. The service was excellent. These are the most comfortable of the cannulas that I've tried so far. Service from Vitality Medical was excellent, very quick processing and shipping which I very much appreciated.